There is a lot at stake when buying or selling real estate. 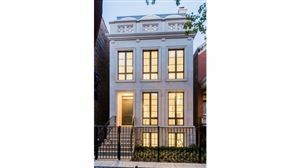 Whether you are buying or selling a multi-unit investment property or your first home, my unmatched expertise and passion for Chicago real estate puts me among the top Chicago Real Estate brokers. My sole goal is to provide my clients with superior customer service that produces exceptional results. In addition, being part of the world-renowned Berkshire Hathaway brand allows my clients unlimited access to the most cutting-edge technology, marketing resources, and an extensive real estate network. Honesty and transparency are foundational to our business. We work tirelessly for you—no exceptions, no hidden agenda. We’ve purchased, sold and developed hundreds of properties over two decades, so we’re intimately familiar with the local market and buying or selling process. Trust a group of agents who live and breathe Chicago real estate—because we truly love what we do.